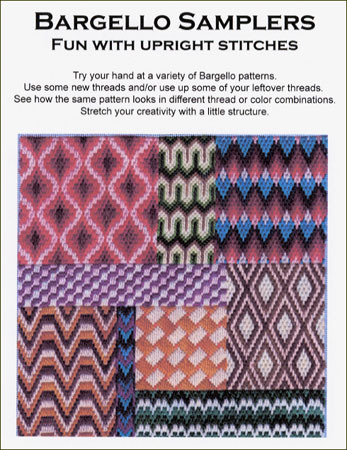 Try your hand at a variety of Bargello patterns. creativity with a little structure. for 12 samplers with 52 stitch diagrams. 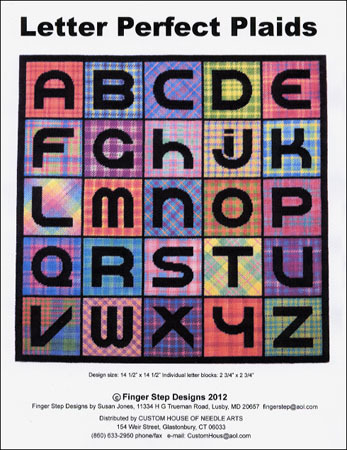 Design size: 14 ½" x 14 ½"
Individual letter blocks: 2 ¾" x 2 ¾"
Gumnut Yarns Poppies silk/wool threads. plaid pattern of squares and lines.